Born in Stuttgart in 1961, Hans lived in Vienna from 1967 to 1989. After visiting India for three months, he returned to Germany in 1990. Since 2001, he has lived in Berlin. 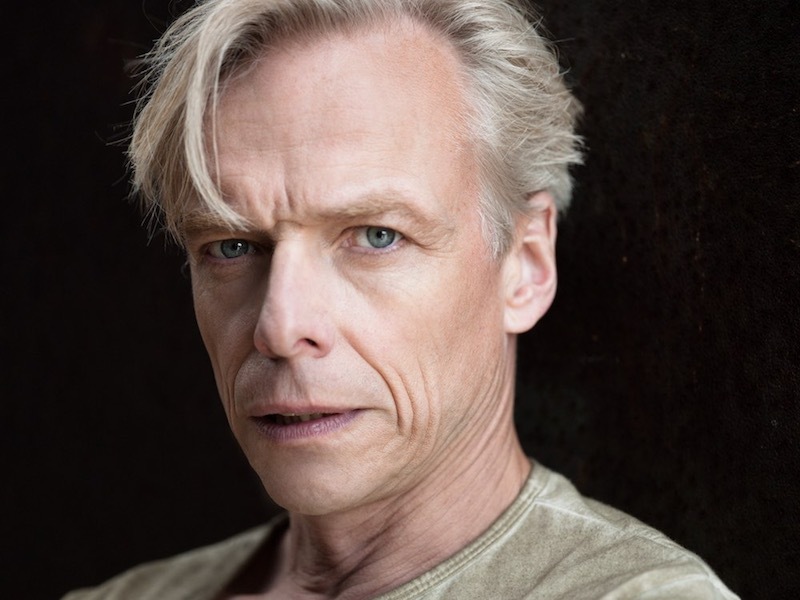 From 1980 to 1983, Hans attended the famed Max Reinhardt Seminar in Vienna (University of Music and Dramatic Arts Vienna) to complete his acting training. Ever since then, he has continued to work on both his acting (e.g., Strasberg Method Acting) and vocal skills. Since 1982, he has worked as an actor at various theatres in Vienna, Munich, Frankfurt, Dusseldorf, Hamburg, Berlin, Montreal and Quebec with national companies and on major musical stages as well as with fringe groups. He has worked with internationally acclaimed directors such as Robert Lepage, Steven Berkoff, George Tabori and Barrie Kosky. Theatre credits include Mercutio (“Romeo and Juliet”), Iago (“Othello”) and Jason (“Medea”) as well as major parts in contemporary plays, like Hitler in George Tabori’s farce “Mein Kampf”. As a member of this production, he was invited to the 1991 Jerusalem Festival. From 2003 to 2005, Hans was the evil Uncle Scar in Disney’s „The Lion King“ in Hamburg. For his theatre work, Hans has received some major awards in Vienna, Stuttgart and Berlin. 2015-2012 he worked with the renowned Canadian director Robert Lepage on LIPSYNCH, a multi-lingual nine hour theatre epic in which Hans made his first on-stage appearance in English. After try-outs in Newcastle, Tenerife and Montreal in 2007, LIPSYNCH opened in London at the Barbican Centre on Sept. 6, 2008. Afterwards it was shown in New York, Madrid, Sydney, Melbourne, Toronto, Montreal, Taipei, Vienna, Moscow, a.o. 2010 Hans was nominated as best actor for the BEVERLY HILLS OUTLOOK AWARD for his part in BANDAGED, directed by Maria Beatty. The European opening was at the BERLINALE 2014. Hans has recorded many audiobooks including “The Picture of Dorian Gray” by Oscar Wilde, “Fables of Jean de La Fontaine”, a.o. Of late, he has also begun to work as a director and drama teacher. Since 1999 he is is head of the theatre production company THEATER WAHLVERWANDTE together with Silvia Armbruster, Christian Kaiser and Wolfgang Seidenberg.